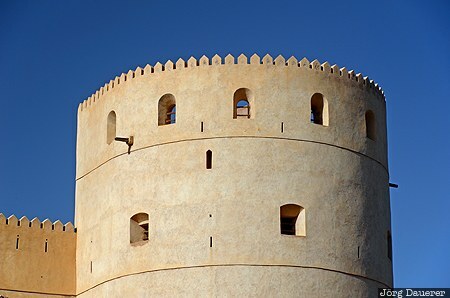 An impressive tower of Rustaq Fort below a deep blue sky. Rustaq is in Al Batinah in the Sultanate of Oman. This photo was taken in the afternoon of a sunny day in March of 2012. This photo was taken with a digital camera.